Several dissidents were attacked and arrested during todays international hungerstrike in support of Vietnams prisoners of conscience. The hungerstrike was part of the We Are One movement, and was arranged in several countries. It is a unique effort to bring attention to the prisoners of conscience in Vietnam, as it is the first event that is arranged both in and outside of Vietnam, at the same time. We spoke to blogger and Human rights activist Nguyen Ngoc Nhu Quynh about her experiences during the hungerstrike. In april 2015 she was also the recipient of Civil Rights Defender of the Year award. But she is humble and explains that the award does not just belong to her. It is not only my prize, but also my colleagues, all the members of Vietnamese Bloggers Network. It help me know that: from now the human rights situation in Vietnam has a chance to be known widely outside. 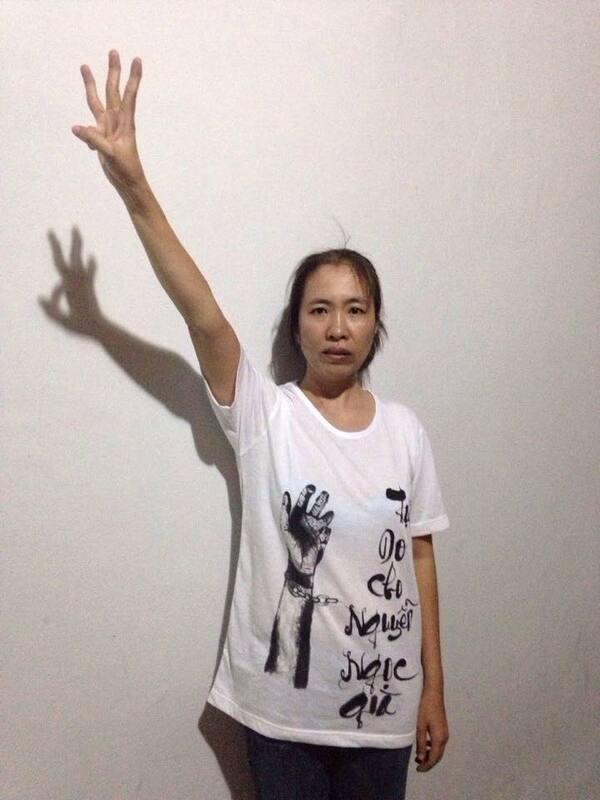 She was part of a group of five who went on hungerstrike in Nha Trang. It didnt take long till they were attacked by the police and then arrested. When we started wearing our white T-shirts in Tran Phu Park on Nha Trang Beach. Five policemen attacked us. Two guys were beaten before my eyes. 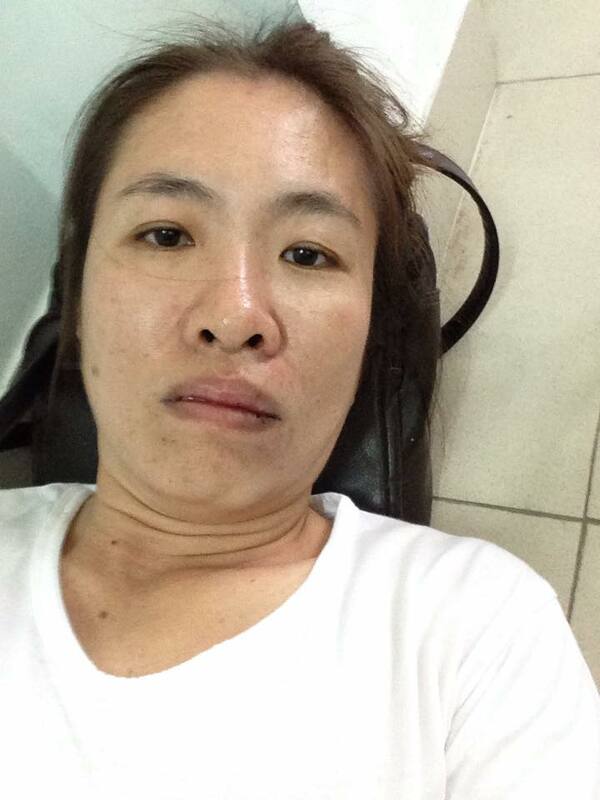 My friend, Ms Hoang Anh was hit on her eyes and they hit me on the nose. After that all of us were detained at Loc Tho Police Station until 9pm. When I asked her about the reason the Police gave for detaining her and the other members of the group, she explained that it was the same reasons they always give, penal code 258, 79 and 88. We call that forrest law from our government. It means that the police can do anything to prevent others from talking about freedom. Several of her friends are prisoners of conscience, so this fight is not just about human rights issues in Vietnam, it is also a personal fight for her. The name printed on my T-shirt is Nguyen Ngoc Gia, one of my favorite underground bloggers. He was arrested in December, 2014 and no one has received any information about him. Today was not the first she has been beaten and harassed by the police. They continuously watch her moves, and arrest her whenever they feel like it. She has been arrested five times on her way to the airport to catch a plane to Hanoi. What was she going to do there? She was meeting embassies and organizations. The Police arrested her and detained her for about 10 hours and then she was released. This is normal treatment of dissidents and human rights activists in Vietnam. 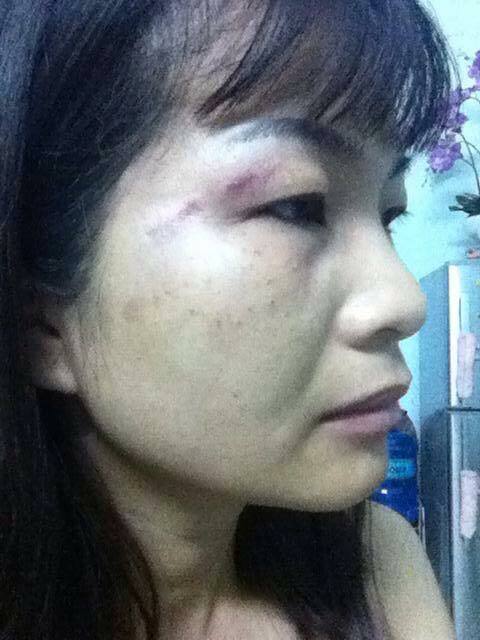 I was beaten in Saigon on International Human Rights Day 10/12/2013 with my little son. And that is his first shock. And this time is the third time the police using violence to prevent me from using my freedom of expression.